Our Network Rail approved Public Emergency Telephone Systems (PETS) are specifically designed for installation at Auto Half Barrier Level Crossing locations. The systems provide a monitored and secure communications link between the public emergency telephones located at the crossings and the controlling Signalman. The systems comprise of two units, one unit for installation in a trackside cabinet at the crossing and one located in the controlling signal box. 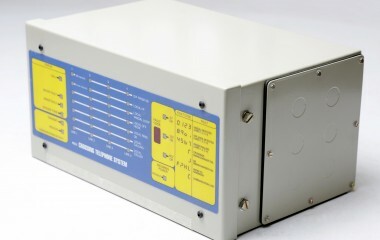 POTS (Plain Old Telephone Systems) and GPRS service connection interfaces are available. Where the signal box controls multiple crossings, a telephone concentrator is used at the Signal Box to connect the incoming calls through to a single telephone. A battery back-up UPS mains supply unit compliments the PETS range for use at the remote crossing locations.